First revealed at the Winter Wonder Festival, Sentinel's highly articulated Rockman action figure will hit retail this August. Pre-sales go live on April 18th for 4,320 Yen (about $40 US), Ami Ami reports. The 4-inch (10cm) figure ships with two alternate hands, a Rock Buster, one interchangeable face plate, and a basic display stand. North American distribution has yet to be determined. More details and images available here. This figure looks so great! Even better than the D-Arts Megaman. I'm super psyched for the Rush Adaptor Megaman and Cutman figures. A little word of advice to Sentinel: Stay away from Megaman Zero. 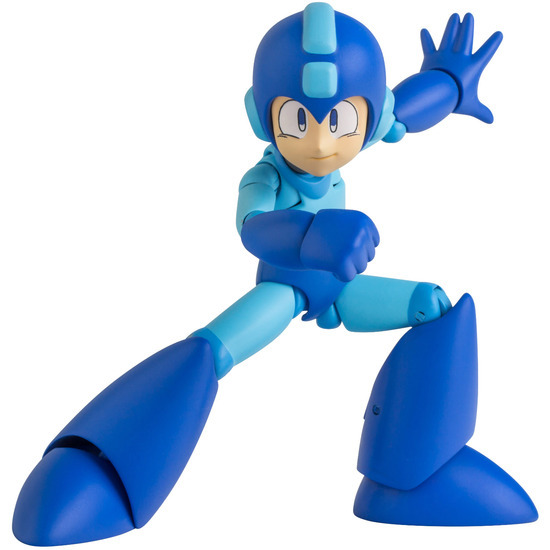 Ya, for some reason, it seems like Mega Man Zero is a curse for toy/figure lines. he ended the Jazwares line, the Kotobukiya line, and seemingly even the D-Arts/FiguArts line. Hopefully Cutman will be available soon, so they see how a success it is, and then maybe they will do other robot masters, Dr Wily, protoman, etc.